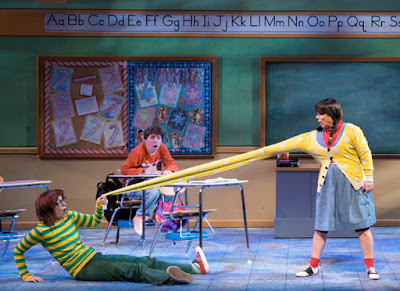 Pgh Momtourage: Win tickets for Junie B. Jones in Jingle Bells, Batman Smells! 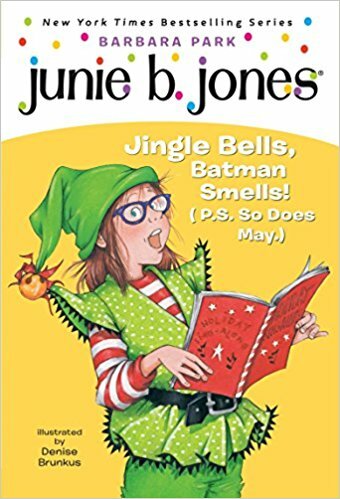 Win tickets for Junie B. Jones in Jingle Bells, Batman Smells! When my kids first started reading chapter books, Junie B. Jones is one of the first series to which they gravitated. She's always seems to be in some sort of mix up that delights as she stumbles her way to a solution. We are pretty excited about the chance to see a Junie B. Jones show live and in person! 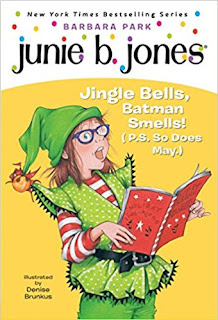 Enter: Junie B. Jones in Jingle Bells, Batman Smells! Junie B. Jones, First-Grader, is super-excited about the upcoming Holiday Sing-Along and Secret Santa gift exchange at her school. Too bad tattletale May keeps ruining all of Junie B. 's fun. So, when Junie B. draws May's name for Secret Santa, she comes up with the perfect plan to teach her nemesis a lesson! But will the Christmas spirit of peace and goodwill interfere before she can give you-know-who what she deserves? A hilarious and endearing tale based on the best-selling book series by Barbara Park. This event is designated for younger audiences. If a child has reached their first birthday they must have a ticket and be seated next to an accompanying adult. Children younger than 12 months will be admitted without a ticket and must sit on an adult's lap. We have a family 4-pack of tickets to giveaway. Click below to enter to win. This post sponsored in partnership with Pittsburgh Cultural Trust. I may have received tickets or compensation in exchange for promotion. I don't promote venues that my family doesn't love! Photos courtesy of Pittsburgh Cultural Trust. If I win, I will take my husband and 2 children! I would love to take my beautiful nieces to this show! My 2nd grade. Those books are a favorite! My wife and two children! My boys would love this show! My son was introduced to Junie B by his kindergarten teacher and loves the books! I would take my 8 year old daughter and 2 friends of her choice!!! I would take my kindergartener and 2nd grader! They both love reading these books! My daughters absolutely LOVE Junie B. Jones! I can always get them to read if one of rhe books are around! I would take my 7-year-old and 8-year-old daughters to the show! My daughter and nieces love Junior! I would love to take them! Thank you for the opportunity!! If I win I would take my daughters and husband. Huge Junie B. Jones fans in this house!! My two boys would love to see this. My husband, too lol. 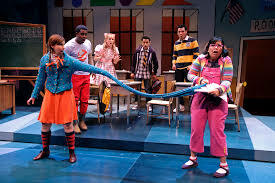 I would take my daughter and some of her friends who love Junie B. She just started reading chapter books and we bought 4 Junie B books because she can’t get enough! My son and my friend and her daughter would go with me! I would love to see this show with my son, my friend, and my friend's daughter. I loved Junie B as a child and this would be a great way to introduce this book series to my son. My children would love to see this show! So fun! My 1st and 4th grade girls would love this!